We are committed to a culture of empowerment, diversity, pride, accountability, teamwork and personal growth. That’s why so many of our employees have been with the company for more than 10 years! 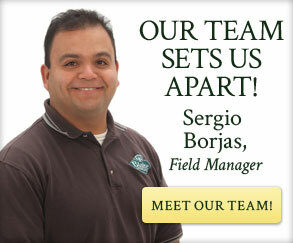 We value employees who demonstrate personal excellence, openness, respect for others, and a passion for our business. We have an excellent safety record and work hard to avoid on-the-job accidents and injuries. Blake is enrolled in the Department of Homeland Security’s eVerify program, ensuring that all new hires are legally entitled to work in the United States. Hourly employees receive overtime pay for all hours worked over 40 per week and are paid for travel time to and from job sites.